Photshop has hundreds of tricks up its sleeve if you know where to find them. This technique will show you how to recreate a starburst filter effect. Words and Step-by-Step pictures Peter Bargh Original from Hemera Photo Objects disc. 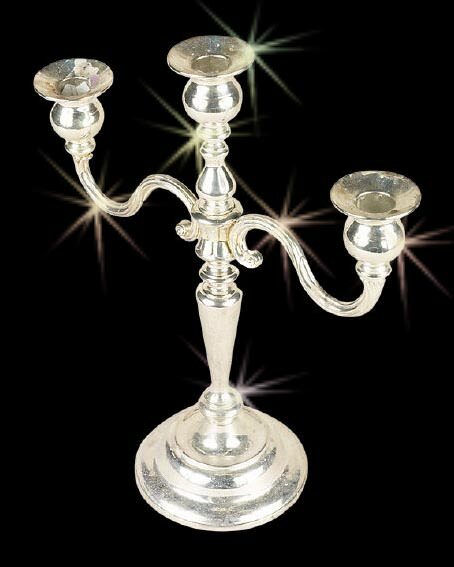 A sparkling highlight can be added to any object with this technique, although you'll find it will look more natural if you choose a subject that has a reflective surface that would normally have shiny highlights, such as this silver candle holder. Other potential subjects would be jewellery, street lights, car headlights and shimmering reflections in water. But you could go for the corny approach and have a twinkle in an eye or on teeth for a Colgate white smile. The idea is to choose a subject where the star will look fairly natural and not contrived. 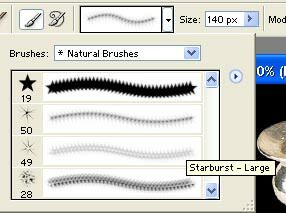 The star shape should be selected from the brushes palette. If you are on the default set click on the little arrow top the right of the menu and load the Assorted set. 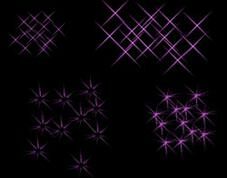 From there you have four preset starburst brushes and each can be edited to make them bigger or smaller and have different styles. I've chosen Starburst -Large for this project. With the desired brush selected. Click on the colour picker and choose a suitable tone. 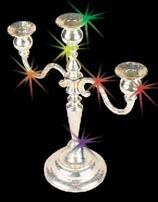 I went of an off white that had a small amount of yellow so it has a warm sparkle. Move around the photo clicking on areas where you want a burst to appear. Do not drag as this would paint a succession of stars. Choose areas with natural highlights and don't go over the top. Edges always seem to look good with a burst. You can change the brush size if you like to vary the effect. At this stage you could leave the photo and consider the job done, but, in the words of Chris Tarrent, "we don't want to do that". Let's look at how these starburst can be made to glow like a rainbow. Now hold down the Control Key as you click on it. This places a selection around the stars that you may not see if the stars are small. 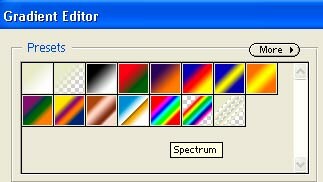 Select the Gradient Tool (Keyboard shortcut G) and select the Spectrum Preset - the one that looks like a rainbow - from the choices that appear. Click at the top of the image or bottom and drag to the other side to place a gradient colour on the stars. You can do each star shape individually if you prefer each star to be multi coloured. This effect is a bit too strong and over powering so select the Screen blend mode and set to about 60% Opacity. The result is a subtle coloured starburst effect. Don't put to many on your picture or you'll overdo it. A couple less bursts than this would have been perfect.